Mobile stretcher designed for use with fluoroscopy machines (C-arms). Full length, radiolucent tops translate 18 inches to either end providing excellent patient access without repositioning. The hourglass-shaped, trimmed base accommodates a wide range of C-arms. 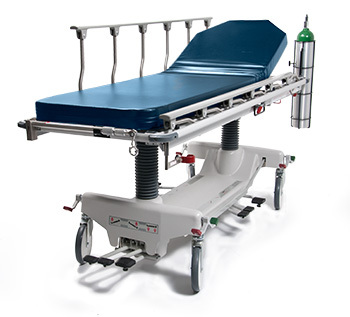 Offers the security of a treatment table with the mobility of a stretcher.